Heavyweight twill fabric meets the utility of workwear-inspired patch pockets on an A-line silhouette that sits just below the natural waist. 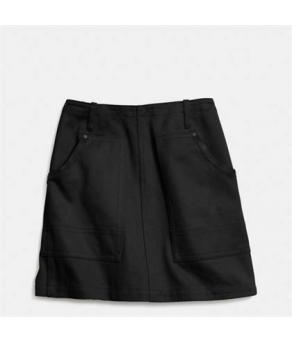 Piece-dyed for uniform intensity of color, this fully lined skirt is trimmed with tonal leather details. HARLEE LIZARD HEEL Coach ..
Grommet Round Hem Skirt Coach .. PLAID HORSE AND CARRIAGE OVERS..